Analog to Digital Video Converter has arrived. There are many styles of digital video interface available today, HDMI, DVI and DisplayPort all support Full High Def 1080p resolution video. But what about the old analog versions of Composite video with RCA plugs and Super video with Din connectors? How do you connect these to the new digital interface and then make analog signals work like digital signals? Well, the answer is in the form of a PAL/NTSC Video to HDMI Converter with Audio Input. 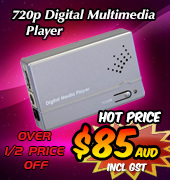 This style of converter accepts an analog Composite or S-video signal, re-times and re-shapes the signal and finally converts it into a fully digitised video and audio stream. This new digital video stream presents at an HDMI interface ready for connection to an HDMI enabled HDTV. A standard HDMI output usually follows the type of input signal used, so an NTSC composite or s-video signal will present as HDMI 480i/p resolution and a PAL signal will present as HDMI 576i/p resolution. 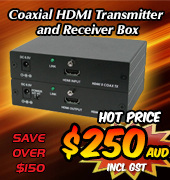 For video signals more suited to larger HDTV's, some Video to HDMI converters allow for the newly converted digital signal to be Upscaled from a Standard Def 480/576i/p video to a High Def resolution like 720p or 1080i/p. This allows for the whole screen to be utilised during the replay, no black borders. 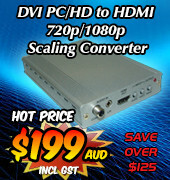 There are many styles of Video to HDMI Converters, all of which perform the task as needed. 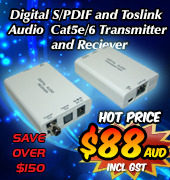 For the highest quality video and audio signal conversion and reproduction, these styles of scaler converter use the latest release chipsets and algorithmic equations to get the maximum result out of the analog to digital process.